REVIEW SUMMARY: Though a bit rough around the edges and clumsy at times, this is an imaginative, engaging, and highly entertaining military thriller. BRIEF SYNOPSIS: Inquisitor Obadiah Roth takes on the hordes of Chaos in the Medina Corridor. 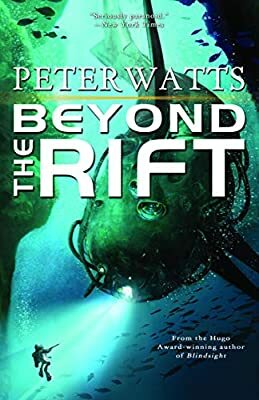 PROS: Imaginative and interesting military thriller with plenty of action; kept me entertained and up way too late reading it; left me looking forward to the next book in the series. CONS: Lacked a certain depth of character development and dialog; could have used a good editor to help polish off this book a bit. BOTTOM LINE: It has its flaws, but the story was immensely enjoyable and I expect even better things in the next installment from Henry Zou. As I read this book, I found myself noting numerous “quirks” that should have been changed or scrubbed by an editor: typos and misspellings, minor grammatical errors, and simple elements of style gone awry. I leave these in the lap of the editors at Games Workshop and hope they do a better job next time around. In contrast to top tier Black Library authors (e.g. Dan Abnett, William King, etc. ), Zou tended to be a bit light on character development and conversation. By the end of the book, you really didn’t really have a deeper view or understanding of Obadiah Roth or his supporting cast. Furthermore, dialog between characters was often clumsy and at times hard to understand. Henry Zou has some room to grow here. Overall, it seems that Zou understands his limitations and his strengths. For the most part, he stuck with what he does best. That is, he focused on the development of the situation, the plot, and the blistering military action. The action ran thicker and faster as the book progressed. He was also terrific in his painting of the enemy horde, usually with the blood of many innocents on his brush. Zou showed no qualms about introducing a likable character on one page and eviscerating him on the next. With his vivid and detailed descriptions of their crimes, Zou often allowed the various legions of Chaos to upstage our Imperial heroes and kept the pages turning late into the night. As a veteran campaigner of numerous Warhammer 40K novels, I am always on the lookout for my next hot author from the Black Library. Based on this initial effort by Henry Zou, I may have found it. Special mention should be made for the book cover art by Raymond Swanland, which rates 5 stars for exceptional quality. It is perhaps the most vivid, intense, and professional of all the Warhammer 40K cover art and really helps sell the book. I, too, would give this book 3-and-a-half stars out of 5. The biggest issue being that of character development. They were all flat, with no deeper insight into the reasons for their various actions. I’d also say that Emperor’s Mercy was tad bit too ‘military SF’ for my taste. I felt the story being told, which is very good, didn’t lend itself well to the sort of ‘fetishisms’ inherent in MilSF, being more of a character oriented piece. Over all though, I think Zou is definitely a writer to watch. He already has the ripping story part down pat. A little polish on the characters and the Black Library folks will have yet another great author on their hands. This has always been a problem at GW. I don’t expect it will ever get better. Personally, I would give this book at least 4 out of 5 stars. I thought the plot and character development was great and I am looking forward to any other books by Henry Zou. I would recommend this to anyone into Warhammer 40k or military thriller novels. My first 40K novel read, I was impressed, very good action, setting, and I agree about character development. Also, I noticed there were no other terms other than ‘on his arse’ whenever Roth falls over, which always sounded out of place to me. Also, while the action was excellently depicted, I don’t think the scale of the battles were truly realised, although military numbers were stated I was often surpised when ‘700 tanks’ or ‘12,000 men’ are described as the fighting force, combat always seemed tyo be described as small groups rathen than legions. They say never judge a book by its cover, well dont, because while the cover art is brilliant Emperor’s Mercy is probably the worst 40k book i have ever read, and ive read Eldar Prophecy. I’d give it 1 out of 5. 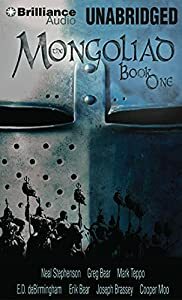 I was bitterly dissaponted by this book, i read the prologue on the BL website and was impressed, but the story itself was drab and boring. There was little character developed, as already said, and none of the characters were the least bit interesting or compelling. Maybe not the worst book in the world, but not worth six quid when so much better novels are on the shelves. I recommend giving this one a miss. I have noticed that a lot of the commentators have been criticising Henry’s inability to connect with the characters he writes about. I think the reason it’s so hard to connect with the characters in the book is because the author himself is a complex character to connect to. I would give Henry a 9 out of 10 for his style of writing, but only 2 out of 10 for character development. If you’re the type of person that likes to get up close and personal to the characters in the book, then this book isn’t for you. but if you like a whole lot of action, then i would definitely recommend reading this book.